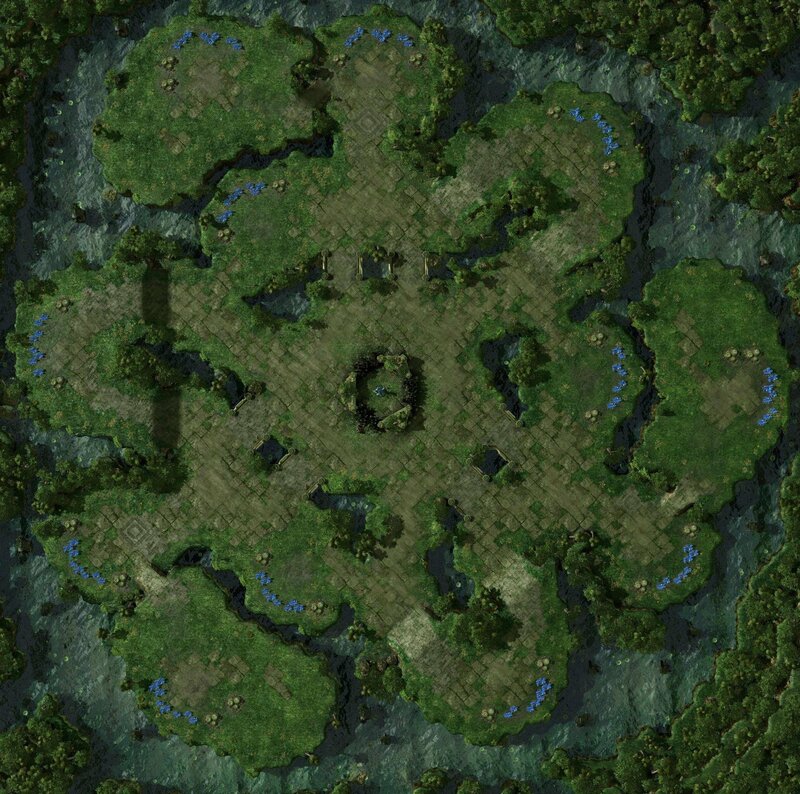 At long last, it is my pleasure to announce the results of the first TeamLiquid Map Contest. As you all know, there was a public vote and a staff vote to determine the winning maps in this contest. The votes would count equally, except in the case of a tie when we would use the public vote to decide how to break the tie. Fortunately there was a clear winner, clear second and clear third but a tie for fourth where the public vote was used to break the tie. Don't forget that thanks to Blizzard, the top five will receive a Razer peripherals package which includes a Marauder StarCraft II Gaming keyboard, Banshee StarCraft II Gaming Headset, Spectre StarCraft II Gaming Mouse and the StarCraft II Zerg Edition Messenger bag. In addition to the Razer peripherals package, winning entry can select one of the following additional prizes; a signed Collector’s Edition of StarCraft 2, a signed Jim Raynor StarCraft 2 cardboard standup and a signed StarCraft II Poster. The second place entry can select one of the remaining two entries, and the third place will be given the remaining entry. Without delaying this any longer, here are the winning maps! (You can find the results of the staff and public poll at the end of this post). It was a tight race for 4th and 5th but these two maps narrowly beat out 6th place. Both are highly original. Sanctuary is one of the best 3 player maps that has been made and allows for both macro play and aggressive play. There is an emphasis on controlling key points on the map, which makes it a map that better players can exploit to their advantage. Haven's Lagoon was one of the most controversial picks of the TLMC finalists, and rightfully so! It's a very unique map. The map proved to be a hit with players as it proved to be one of the most enjoyable maps in the pool. It hasn't been easy, but this map fully deserves its top five placing. This result may shock you, but Korhal Compound was the overwhelming staff favorite. After the first day of voting it obtained an insurmountable lead which only kept increasing. Why did the staff like this map so much? Probably because of the natural flow of the expansion layout, the ability to play a straight up macro game as well as the importance of army positioning. The map isn't an obvious winner, but is no doubt a solid map and one on which many great games can be had. This is probably the second surprise of the tournament! While being the public favorite, it didn't have the same appeal on the staff vote and thus won second place. But let's face it, this is a glorious map! Not only is it one of the most aesthetically pleasing maps but the layout and design of the map makes it one of the more technical maps in the TLMC. The high quality of games on the map left a lasting impression on the public and it came oh so close to winning the whole thing. With that said, this map is an achievement of map architecture, design and aesthetics and a very strong second place. It may not have won the public vote or the staff vote, but coming second in both polls sends a pretty clear message that this map is good. Why did this map score so highly? Because of its incredibly clever design. The map forces you to choose where to engage very carefully and can allow you to defend highly aggressive plays with good positioning. It is a map where good players can shine, and great players can dominate. It is everything you could want in a map and then some. I had a moment to catch up with SUPEROUMAN right before this post went live for a quick interview. Hi SUPEROUMAN, can you tell us a little bit about yourself for those who don't know you? Hi! I'm SUPEROUMAN, I started to make maps 5 years ago on broodwarmaps.net website. I started to make SC2 maps from the beta and I am now in the ESVTV map-making team. So how did you get into mapping? I was always attracted to building games like Simcity or Roller Coaster Tycoon. After some time, I discovered StarCraft: Brood War and the editor and I kept building landspace in it. Then I heard about the competitive scene and all the interesting thing about maps and at the end I started to make maps that dictate gameplay, which wasn't great ^^. When SC2 came out, I nearly opened the editor first to see what are the possibilities with it. Did you make any interesting maps during your time as an SC1 mapper? I made two maps which got into the iCCup map pool, Shine and Texcoco, you can find both of these maps on Broodwarmaps.net. 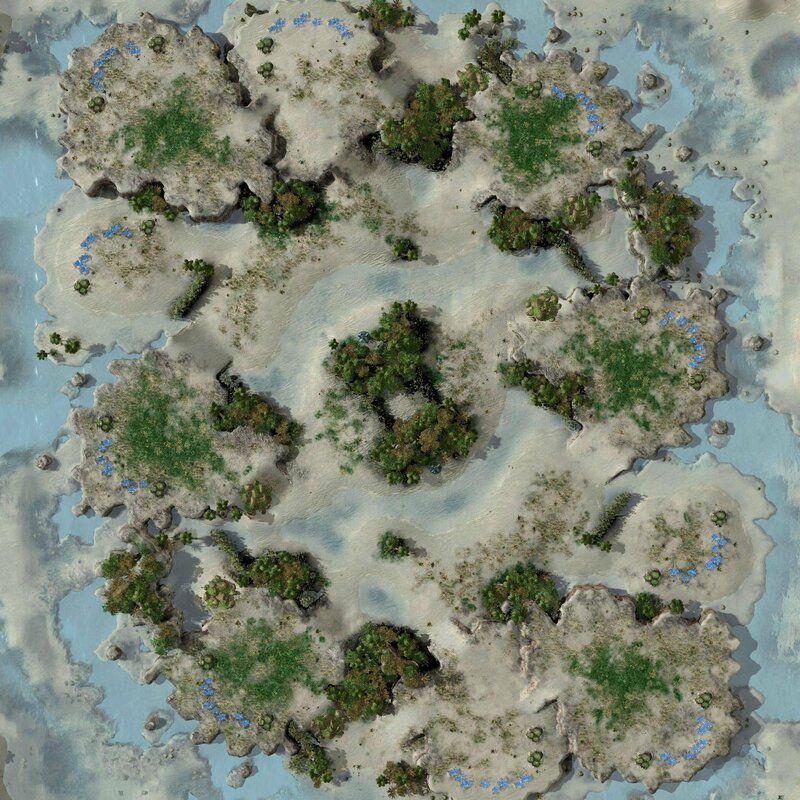 How has your mapping career been in SC2 so far? 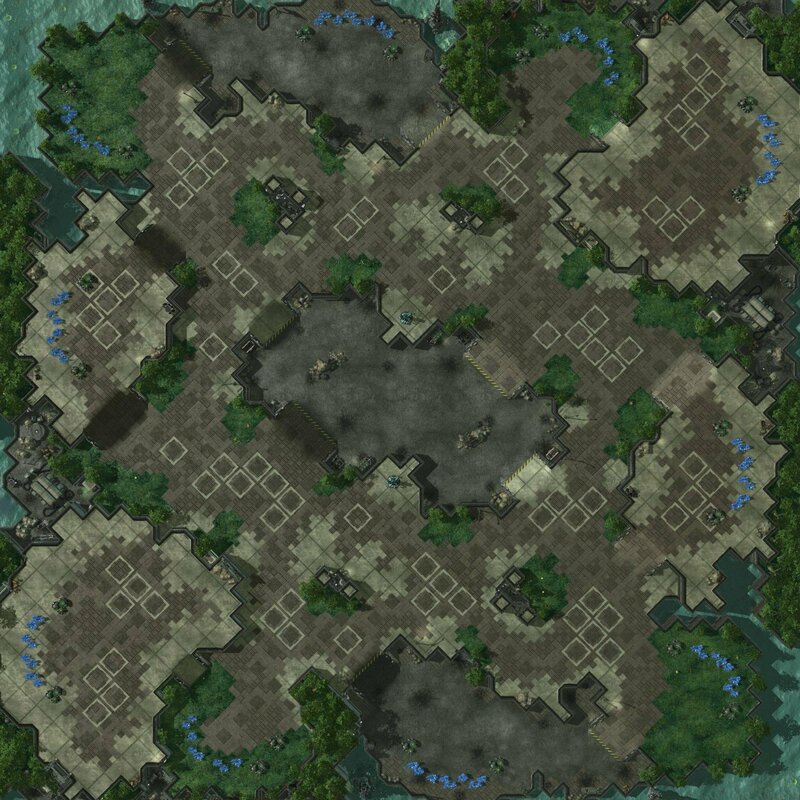 My major accomplishment in SC2 is MLG Testbug, sadly hated by all the Protoss, but I learnt the most through this map. What did you learn exactly? I understood the way the natural works with the 3rd base which is an important thing to know in order to think outside the box without breaking the mapping standards. So what was the inspiration for Cloud Kingdom? Cloud Kingdom has seen some gameplay in the ESV weekly as well, how is that going? Thanks to the defensive abilities of the map, the majority of the games are awesome so far, they rarely last less than 10 minutes, even PvPs! These games pointed some issues for ZvP in the area next to the 4th, that area was too choked to let the Zerg defend properly that base. I made some edits and I think it's fine now. What is your opinion on the trend away from gold minerals? I think it's a good thing because it can give a huge economic advantage to the player who has map control and that expand and also of mules which is one of the reasons why Terrans were dominating the GSL. How do you feel about the current state of mapping? Oh man, this is the golden age of the foreign map-making and it's only the beginning! In brood war, the map-making was fully controlled by Koreans and it's so amazing to be able to breathe freely now. I mean we have a lot of opportunities to have maps in major tournaments like ESL or MLG. There is also the apparition of these kind of contest with prizes, this contest, the IPL one and now even Map of the Month have prizes thanks to ESL. And in all of them the prizes are around 400€ in hardware for each contests. So you think the future is very bright for mappers? Absolutely, it can only become better and better! That's good to hear, any last words? I'd like to thank everyone making mapping contests, my buddies on broodwarmaps.net, my team mates in ESVTV map-making team, our boss Diamond who does an amazing job behind the scenes and for the first time I have the possibility to say, thanks our sponsor Steelseries! And there you have it! The first TeamLiquid map contest is over. Despite all concerns about aesthetics being the dominant factor in voting, the final map listing is very close to what the judges initially thought. So we're very happy with how the tournament has played out. I hope you enjoyed the TLAF TLOpen on these maps and the contest itself and I hope we are able to do this again in the future. Special thanks to The Little App Factory for their sponsorship of the TLOpen held on these maps. Their support allowed the tournament to be a huge success and we saw some awesome games on these fresh and exciting maps. Edit: Super the best foreign mapmaker FOR SURE now. It's interesting how different the two polls are. They are almost opposite. Congrats SUPEROUMAN and ESV. I voted for this map and glad it won. All 3 maps would be amazing in ladder. Perhaps to replace Xel'Naga Caverns and Metalopolis? So this will be picked up into the ladder pool not next season but the season after that one? And without any stupid ladder edition changes by Blizzard? i love these maps, but it frustrates me that the ladder will not include them. or if they do it will take blizz 4eva to implement them. blah. GOOD JOB! Not that it matters all that much to me, since they're all fantastic. Top 3 are as good as I could have hoped, sad that Burning Altar didn't make it. Really happy with these results. Really pleased Cloud Kingdom won, it was by the far the best map in my opinion. Good job ESV, keep up the great work! Seems like the staff is afraid of playing outside the box a little. Congratulations to the map winner! While imo third/second place maps are better its a big achievement to do what he did. I hope one of the 2nd/third place maps make it into the map pool (or all 3 would be even better :D). Now all that's left is to make the 3 and 9 o'clock bases golds, add rocks at the top left and bottom right bases, as well as at the natural choke, and add highground next to the natural to make the map ladder-ready!